A popular skeptic, Bart Ehrman, tries but fails to make the life of Jesus look like an ancient fable. 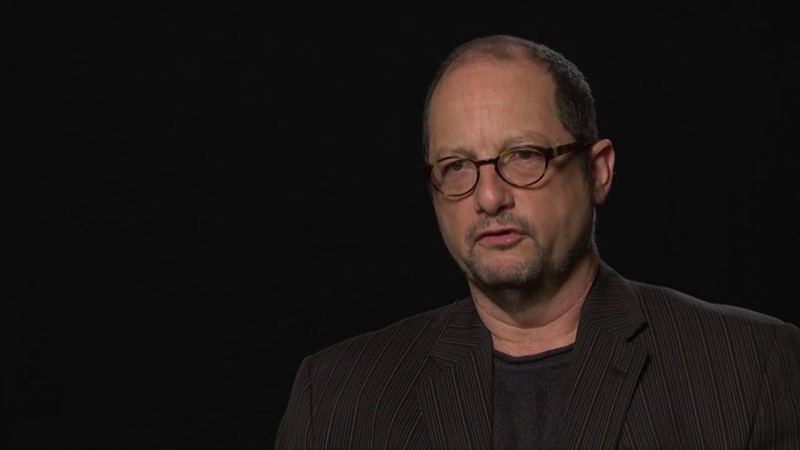 Bart Ehrman has become the public face of skeptical Jesus scholarship in America. He is erudite, prolific, and knows evangelical Christianity from the inside. Interview with a Vampire author Anne Rice is one who has been deeply influenced by Ehrman’s “humble, polite and patient” interpretation of Jesus, praising him for “bridging the gap” between leading New Testament scholarship and amateurs like herself. Answering Ehrman’s arguments in my new book, Jesus is No Myth: The Fingerprints of God on the Gospels, I discovered that he is also bridging another gap for thousands of Americans: out of Christianity, into unwarranted disbelief. The nephew of a church friend recently defected from Christ after reading Ehrman. A youthful web acquaintance attended an initial session on the historical Jesus at Ohio State a few weeks ago. The professor echoed one of Ehrman’s favorite arguments against the Christian faith, based on supposed resemblances between Jesus and a late 1st Century sage named Apollonius of Tyana. Talking with another Christian student afterwards, neither knew how to answer this analogy, the second student finding it intriguing. The pastor of a Seattle-area church I have spoken at told me several members of his church became “radicalized” by Ehrman’s teachings, and left. Yet I have also concluded that Dr. Ehrman is not merely wrong; he simply cannot be trusted anymore on ancient books. Ehrman grossly misrepresents old texts to coax believers away from Christ. Read fairly, those works actually demonstrate the utter uniqueness and deep historical credibility of the Gospel accounts. Is This Where the Story of Jesus Came From? For brevity’s sake, let’s focus on Apollonius, the most popular “Jesus double.” Ehrman wonders how Jesus “became” God, and offers Apollonius as an answer. In fact, as we’ll see, his reliance on Apollonius only raises another question: Why would anyone think this fantastic philosopher even begins to explain Jesus? The minor problem is that almost every detail of Ehrman’s sketch is patently bogus. In fact the visitor at Apollonius’ birth did not come “from heaven.” “Out of Egypt” (the title of Anne Rice’s own book about Jesus) would more accurately describe Mrs. “Of Tyana’s” pre-natal visitor. Proteus, the “Old Man of the Sea,” slept on the island of Pharos in the Nile Delta where the great lighthouse would arise, shifting shapes to avoid being forced to reveal hidden truths to mortals. “Unusual divine signs in the heaven” is an exaggeration: there was just one. Apollonius’ mother was led into a field pluck flowers, then a thunderbolt rose into the sky and disappeared. What about the assertion that Apollonius raised people from the dead? Not really. The sage met a young Roman bride who had suddenly passed away. It was raining, but he detected a vapor coming from her mouth, whispered a spell, and she came to. A proper diagnosis serves in place of a resurrection. Apollonius’ other “miracles” are often quite amusing. He rescues a youth about to marry a vampire. He cures a satyr of lechery by plying it with beer. He cures a boy bitten by a rabid dog, by having the dog drink water, then lick the wound. On the other hand, in what French literary scholar Rene Girard called a “horrible” miracle, the sage eggs on a mob to stone a beggar to death in Ephesus. By contrast, Jesus saved people from stonings. Ehrman misrepresents Apollonius’ trial on two counts. The philosopher was tried not at the end of his life, but two years earlier. No one attempted to “kill his soul” or even his body: the emperor’s retinue was deeply impressed by his eloquence, and the emperor begged a further interview. Worst of all, Ehrman fails to inform readers that Life of Apollonius of Tyana was written some 150 years after the gospels. So Ehrman does not merely pick facts like cherries to flavor his pie, he fills his empty tin with pitted and fly-pocked fruit from under the neighbor’s fence. Worst of all, Ehrman fails to inform readers that Life of Apollonius of Tyana was written some 150 years after the gospels. Its author was paid by empress Julia Domna, whose husband and son persecuted Christians. So Philostratus had both motive and opportunity to borrow material from the gospels to help his sage compete with the upstart Jewish carpenter. Ehrman also neglects to point out (or recognize?) how profoundly Life of Apollonius differs from the gospels, regardless of any copying. Apollonius wanders the ancient world engaging in Saturday Night Live style conversations in James Bond style settings. Elephants shoot arrows with their trunks. Monkeys farm pepper fields. Various species of dragons (“not one ridge is without them”) populate India. Apollonius’ teachings are asinine to the point of comedy (in my book I fit them into the mouths of Steve Martin and Bill Murray from Saturday Night Live Classic), though people respond as if his banal teachings were divine oracles. The crowd around Jesus was right: “No one ever spoke (or acted) as this man.” Nor has anyone since. By contrast, the words of Jesus are eternally astounding: a tour-de-force original, blazing from the texts as if written in letters of flame. Christ wields aphorisms, parables and hyperbole with an eloquence that sets him beyond the front rank of moralists — this un-credentialed wood-worker from Galilee. His teachings rock disciples to their core, even as he reaches out in compassion to those on the margins, looking each individual in the eye, as Apollonius never did. The ground rumbles, and ancient prejudices about women, outsiders and children shift as Jesus steps up to a well in Samaria, or walks over to a blind beggar crying out from the curb. Our gospels come from four distinct sources, none of which demonstrates the authorial genius that might explain the astonishingly coherent portrait they produce. Why then does so eminent a scholar as Dr. Ehrman push Apollonius, with his crude geography, amusing zoology, and risible dialogue, onto stage to introduce the greatest man in history to gullible young pups? Nor is Ehrman alone. Critics of Christianity have been pointing to Apollonius since Hierocles (another persecutor of Christians) in the Third Century. Thomas Jefferson, the Jesus Seminar, Elaine Pagels, Paula Fredriksen, Reza Aslan and even more radical critics like Richard Carrier all cite Apollonius to discount the gospels. What Makes This Bogus Analogy So Popular? What then explains Apollonius’ popularity? Skeptics, not Christians, should be disheartened at such “wild and crazy” analogies. Was the Story of Jesus Borrowed From Pagan Myth? …. OF COURSE NOT! BUT, all the people who make out that Mary, Joseph, Jesus and all that family were White People borrowed that from the grotesque idolatry, and heresy, of White Supremacy! So … hopefully you’ll write about that, too. The idolatrous, heretical beliefs of many Evangelicals in White Supremacist ideas and values is much more serious a threat – and btw, much more interesting – that this story about a solitary skeptical academic. Because, really … one academic’s opinion is not that important. BUT thousand, or tens or hundreds of thousands of Evangelicals infected with idolatry and heresy is VERY VERY IMPORTANT and VERY VERY VERY INTERESTING. But, we’re sure The Stream won’t go there …into that area of discussion … despite its seriousness, importance, and interest …. and WHY? oh why!? is that? No one hates evangelicals like an EX-evangelical, and Ehrman is Exhibit A for that. His books seem to sell to that wide audience of people who are like himself, angry at the world and willing to use Christians as the scapegoat for everything that is wrong. The question that counts is not whether Bart is angry at the world or willing to use Christians as scapegoats for everything wrong, but whether his arguments provide legitimate rational and reasonable justification for Christians and non-Christians to reject the particular claims of conservative Christians. Since none of the gospel writers knew Jesus personally and wrote well after his death, it’s not exactly fair to just assume all stories of Apollonius are myth and stories of Jesus are fact. Given the time of year, consider how differently Luke and Matthew relate the infancy stories of Jesus. One has him born in 4BC, the other after 6AD. One has the Holy Family fleeing to Egypt, the other presents him in the temple in Nazareth a month after the birth (you know there weren’t planes, trains or cars). Luke knows nothing about visiting kings (Matthew doesn’t say how many) but somehow knows details about lowly shepherds who happened to be nearby. Mark doesn’t seem to know anything about these shepherds. Ehrman is an extremely knowledgeable and well respected biblical scholar, even among those who remain conventional Christians. He’s not coming to his conclusions without a thorough review of the original language in the earliest copies of the bible (and all we have are copies, no originals) and the deep study of the history of the period. Trying to make him sound like a fool is quite un-Christian. If his conclusions and the conclusions of most biblical scholars can’t be reconciled with your belief system, maybe it’s time to modify your belief system. John: I don’t “assume” anything. This piece is adapted from a 300-page book, Jesus is No Myth: The Fingerprints of God on the Gospels, in which I argue that the gospels are highly credible historical works, and Apollonius (and other analogies skeptics have dug up) are nothing like them at all. I describe 30 separate lines of evidence that demonstrate the general credibility of the gospels. (As an historian, I am not trying to prove every single incident or word — that is not my job.) I also demonstrate that while yes, Ehrman is knowledgeable, he cuts too many corners, and misrepresents too many facts, to merit a very deep respect anymore. The facts above speak for themselves. You use the word “fool.” I do not. Ehrman is not foolish in the sense of ignorant, inadequately prepared, or silly. But his facts are so clearly wrong, and so badly twisted, that at this point, I do feel justified in questioning his integrity. Since you cannot it seems dispute a word I say, I suggest you hesitate to take his side until you find out whether what I say is true or not. You might consider the possibility that it is you who has been hood-winked. First, from an historical point of view, one need not view the infancy narratives exactly the same as the rest of the gospels. They describe events that were some 30 years earlier, and sources would have been harder to track down. They may be entirely accurate, but I don’t see it as my job to focus on those parts of the story for which the evidence is admittedly weaker. (Though see Paul Meier, among others.) There is more than enough evidence for the climactic events of Jesus’ life, to show that Christianity is strongly rooted in solid evidence. Second, as I show (and the British Richard Bauckham, among others), there is good evidence to believe the gospels were quite close to original sources. In another part of the book, I use archeological data that Bauckham supplies, to show that Ehrman’s theory of how the gospels came into being is quite untenable. That is how we do history, not by “modifying our belief systems” because a scholar makes claims that don’t fit the facts, and sells a lot of books by doing so. Matthew – a) Matthew tells of a virgin birth of Jesus and temptation by the devil, when Matthew is never alleged to have seen these events, so Matthew is indeed reporting hearsay in some of his gospel, raising the legitimate question of just what events he reports are those he really saw and didn’t see; b) the issue for us today is canonical Greek Matthew, but church sources even as late as the 4th century credit Matthew only with authoring a Hebrew-letter gospel; c) most scholars do not think canonical Greek Matthew is a translation from a Hebrew original; d) your predictable reply that maybe Matthew wrote a second original in Greek is a mere possibility for which there is no historical evidence, and therefore, can never be converted into a probability, when in fact possibilities don’t count in historical discussions, only probabilities do; and e) Jerome testifies that many in his 4th century church viewed Gospel to the Hebrews as “authentic Matthew” which necessarily implies they knew of a gospel falsely pretending to be from Matthew. Finally, most Christian scholars say Mark is earliest and Matthew copied from Mark, and despite your ability to contrive scenarios where a knowledgeable eyewitness could possibly choose to testify through the words of a non-eyewitness, the fact remains that we have good justification for saying true eyewitnesses do not normally engage in such alter-ego testimony (and you will not find any such thing anywhere in ancient Christian history, further arguing that such a theory is false and Matthew only copies so much from Mark because the author of Matthew did not have any eyewitness memories to draw from in the first place). That means you lose the debate if all you can do is say that an eyewitness relying so heavily on a non-eyewitness is “possible”. The trouble with saying Matthew gives us an eyewitness account of the resurrection of Jesus, is legion. Mark – nobody says he was an eyewitness, and you don’t get “eyewitness testimony” out of a second-hand report, regardless of how accurate you think Mark was in putting Peter’s preaching in written form. And since even most Christian scholars say Mark originally ended at 16:8, your conversion of Mark into eyewitness testimony would not suffice to provide us Peter’s eyewitness testimony to the resurrection of Jesus, since the most the “eyewitness” says is that some unknown man told a group of women that Jesus rose and plans to meet them in Galilee. Luke – nobody says he was an eyewitness, and distrust of his honesty may be justified from his unfairly one-sided and overly biased account of the Council of Jerusalem, where he spills much ink recording what his apostle-friends had to say, but dismisses what the Judaizer’s had to say with a once-repeated “ye must be circumcised” generalized quote. Fair and balanced reporting, Luke is not. And if Luke wrote acts, then the same goes for his stories about the apostles and Paul interacting with a risen Jesus. John – 21:24 indicates it was a “we” who authored John, who confess they know that John’s testimony is true. But there is no indication as to how close this “we” was to the events they narrate, but it is likely they were not eyewitnesses, since they would surely have mentioned that fact, had this been the case. They resolve things back to John because they are dependent on John for the gospel material they are writing down, which means we have to decide their level of credibility before we decide how much of John’s testimony they correctly represent, and their absolute anonymity is a mountain too high. Worse, the high Christological sayings in John would never have been so uniformly neglected by the Synoptic gospel authors, as is the case, had they believed Jesus really said these otherwise doctrinally significant things, thus throwing legitimate doubt on the credibility of whatever eyewitness you think authored John. And Eusebius represents from Clement of Alexandria that John did indeed write last…which means when the Synoptic authors composed and published, they did not believe the Jesus-sayings now-confined to John had any bearing on the basics of the gospel. Paul – the most explicit statements about Paul encountering the risen Christ are in Acts 9, 22 and 26, and nowhere do those stories express or imply that Paul saw a flesh and bone Jesus with his physical eyes. Worse, Acts 26:19 has Paul characterizing his Damascus-road experience as a heavenly “vision” (Greek: optasia), the same rare NT Greek word Paul used to characterize certain other absurd experiences that left him unable to tell, even 14 years after the fact, whether they happened in his body, or out of his body. 1st Corinthians 12:1-4. Paul is an egregious clown. James – says nothing about Jesus rising from the dead, and in light of Paul’s belief that legalism constitutes a denial of the gospel (Galatians 2:14-21), James’s own legalism (Acts 21:20) would require, under Pauline assumptions, that James is a denier of the gospel. Peter – Even granting the dubious assumption that Peter is the true author of the so-called Petrine epistles, Peter never asserts therein that he saw the resurrected Jesus. 1st Peter 1:21 is a statement that anybody repeating an unverified rumor heard in a high-school hallway could have made, so it doesn’t qualify as Peter’s statement that he personally saw a risen Jesus. You also claim to “know” God raised Jesus from the dead…does that imply that you saw a physical Jesus with your physical eyes? No. John the Elder – Nowhere in 1st, 2nd or 3rd John does this man assert that he ever saw a risen Jesus. John of Revelation – this John does not assert that he saw Jesus alive after death, he only admits he is having a vision, and it is in the visionary context that he talks for Jesus, and Jesus then “says” that he came back from the dead. Visions count for nothing in serious historiography. I haven’t read your book, but something makes me suspicious that you probably neglected to discuss therein the serious problems involved in saying some of the NT comes down to us today in first-hand form. The question of whether the NT hearsay accounts are “good enough” is entirely separate. Excuse me! None of the gospel writers knew Jesus personally??? Matthew and John were two of the twelve. —You are really being mislead here . I suggest you read Josehphus or some real records written at the time and not this nutjob with made up ‘history”. Yes, none of the gospel writers knew Jesus. This is an almost universally accepted conclusion among mainstream scholars and churches. It’s also almost universally accepted that the authentic letters of Paul preceded the books of the Gospel. Like Paul’s writing, the Gospels were written in places well removed from where Jesus had lived, where Greek was the language and were based on an oral tradition mixing history and myth. Koine Greek was the universal language of the know world during the first century, thanks to Alexander the Great’s Hellenization of the known world some 300 years prior. It was the equivalent of English today, about anywhere you go, you could find people who spoke and wrote it. So the fact that the New Testament was written in Greek is expected. It’s what people used and is what the authors would have wrote in if they wanted to reach anyone outside of the Jews. There is no evidence of mixing myth with oral tradition, even Dr. Ehrman accepts the extremely early dating of 1 Cor. 15:3-5 as a Creed passed on to Paul within years of the Crucifixion. As to the claim that the Authors were far removed from the places where events happened, that argument doesn’t hold up to the evidence, especially in the gospels of Luke and John, where the first hand knowledge of local customs, geographical details, and political environments rules out late and removed authorship. Dr. Ehrman is a very knowledgeable guy, but has many flaws in his reasoning. I would encourage you to check out his debate with Dr. James White (you can find it on YouTube). It would serve you well to hear both sides of the scholarly work on this issue. Saying that a majority of mainstream scholars don’t believe the gospels were eyewitness accounts is pretty meaningless, as in the current academic climate, you are required to hold to very liberal beliefs to be considered “mainstream”. That would like me saying “a vast majority of Muslims don’t believe that Jesus was God.” Counting noses is no way to arrive at truth, especially in a group that encourages bias. The arguments you are posting are very weak. Get out of your echo chamber, listen to more debates and less monologues and you will be a little less likely to use such poor arguments. I don’t need to rush off and watch your recommended YouTube videos, I’ve already seen them. While there are some well respected scholars who remain conventional Christian believers, they typically have accepted truths that are very out of sync with the typical Christian believer who still thinks that the Gospels were written by those who physically accompanied Jesus during his lifetime (who just happened to be literate in a mostly uneducated, illiterate world). It’s a disservice to the average Christian to try to keep them in the dark about what is actually known, what evidence exists, the myriad changes to biblical texts and the mainstream of scholarly interpretation. James White for one has said quite critical things about American Fundamentalists and their desire to continue to foster a literal interpretation of the bible. To use anologies like yours, believing that the bible was written by members of “the twelve” today is equivalent to the masses still believing Church teaching that the sun goes around the earth. The majority once accepted that as true too but even the Church had to modify its position in light of the evidence. If you have seen the works of people I recommended, why are you using poor arguments they have refuted? All of those guys I mentioned believe that the Gospels were written by either an Apostle (Matthew, John) or the close associate of an apostle (Luke, Mark) during the lifetime of the eyewitnesses. I’m not so concerned with what you think the “typical Christian” believes about the bible, sadly many are ignorant of these subjects. I’m more concerned about what the evidence is. I completely agree with you that Christians should know the history of their bible, and the state of current scholarship around it. I would be interested in hearing about what you think are “the myriad changes to biblical texts”. What are you referring to exactly? Keep in mind, I am not the average Christian who has no knowledge of these issues, so don’t bother with trying to throw in gnostic writings or try to tell me how Jesus is a copy of Mithras, or any of that internet drivel that has been well refuted. I’d like to hear a well thought out objection and I’d be happy to address it. Do you agree with the majority view that Mark was the earliest published gospel? If not, then the fact that Mark is willing to repeat for his audience most of the basics about Jesus you think they already believed (his baptism, ministry, healings, forgiveness, parables, dying for sin, rising from the dead) means you cannot use “he didn’t want to repeat things they already believed” to “explain” Mark’s failure to mention the virgin birth, and that is a problem of yours that extends to his failure to mention the Sermon on the Mount or Sermon on the Plain, which is uniquely credited with bestowing much spiritual calm in billions of people throughout history. No, “Mark was allowed to exclude whatever he wished” doesn’t cut it, because it’s highly unlikely. His failure to mention these very important matters is something more sinister than simply unexplained authorial intent. But if you accept that Mark was the earliest published gospel, did you ever notice Mark says the beginning of the gospel starts with the baptism of Jesus (Mark 1:1, 2-11)? Therefore the virgin birth stories in Matthew and Luke are wholesale literary frauds interpolated into the earlier and simpler gospel as told by Mark. And since Papias allegedly said Mark was careful not to omit anything he remembered of Peter’s preaching (a distinction not ascribed to any other gospel author, therefore Bauckham is wrong to trivialize this as a typical bit of rhetoric not to be taken literally), you have a choice: Peter preached the virgin birth, but Mark, while being inspired by God to write, “didn’t remember” it, which means God didn’t want Mark to remember a bit of Peter’s preaching a doctrine that most conservative evangelicals today say is “essential” to salvation: belief in the virgin birth of Jesus….or….Mark doesn’t mention the virgin birth because Peter never preached it to begin with…in which case we have original authentic apostolic preaching that didn’t include one of the “essentials” of salvation, which raises quite a few eyebrows. The earliest form of the post-resurrection gospel excluded one of the “essentials” of salvation? Or Papias or Eusebius aren’t telling the whole truth, or are telling the truth in a way that is misleading. You may say Mark’s “the beginning” (Mark 1:1) doesn’t necessarily mean the events that immediately follow are the only ones he thinks constitute the beginning, but what’s merely “possible” does not cut it, a responsible historian will try to show that his particular theory is more likely true, than the theories he disagrees with. You don’t allow atheists to win a debate just because their interpretation of a bible thing is “possible” so I apply the heightened criteria to you as well. Fair? —–Footnote 2 says: “2 An alternative interpretation is that v. 1 should be connected with vv. 14–15 (vv. 2–13 would then be looked upon as having been intercalated between vv. 1, 14–15). Bracketing or intercalation is a frequent Markan literary device (cf. comments on 3:20ˆ. ), but it is doubtful that he would have used it so early in the narrative or so clumsily as to leave vv. 2–13 without a context. Still another possibility is that the “beginning” consisted of Jesus’ baptism and temptation as well as John’s preaching. So your inerrantist scholars don’t mention the virgin birth as a possible event Mark would have thought had been part of the “beginning” of the gospel. Which means you are going to have extreme difficulty trying to get non-Christians to believe that Mark believed in the virgin birth, but merely “chose to exclude” it, despite the evidence of his actual repeating many gospel things, a matter I previously established. Which means when I say Mark didn’t think the virgin birth constituted the beginning of the gospel (the way Matthew and Luke obviously did), this is not the result of my spiritual blindness, unless you also accuse evangelical inerrantist scholars of being spiritually blind). For these reasons, the virgin birth story is more than likely a contrived late fabrication that the authors of Matthew and Luke attached to the earlier simple gospel version given in Mark. Just wondering if you might be looking at the gospels through the lens of what makes a good ‘modern’ biography. Could the ancient writers of the gospels have written not so much chronologically but more thematically? If that were the case, then couldn’t each writer have had a different focus with different themes? Why would they all have to portray Jesus in an identical way and/or include all the same events in their accounts? If Mark had a different focus and themes for his gospel, why should he have to include a birth narrative if it doesn’t fit into his framework? Thanks Barry, I’ll write up and email you a reply, may be more useful than on the comments section of a website. No! I was so enjoying following along. Learning a lot. Email is less useful than this comment section because then there is no audience to be influenced (I suspect the two of you will influence eachothers thinking only in minor Ways). Because I haven’t been convinced by those arguments. They are far from objective. To me, it’s far more compelling when those like Borg and Crossan and Funk come from Christian upbringing and vocations which inspire them to their study and then they find something they didn’t expect. Now, that is quite convincing of their not bringing an agenda. I think it’s completely unfair to them to not take them at their word (and they have all expressed it) that they were motivated to their study and careers by their desire to know who Jesus was. Regarding changes, well as Barry points out above, there’s that the earliest copy of Mark doesn’t have the last chapter. It’s pretty clear that it was added later to make a better ending. Likewise, “they know not what they do” isn’t in the earliest version of Luke. And there’s “let he without sin cast the first stone” added into John in copies approximately 300 years later. There are literally thousands of changes that have been found, albeit the vast majority are minor, ones like those above are pretty substantial. And this is just from examining the gospels have made the cut after the purging overseen by Constantine at Nicea. No Mithras or Gnostic writings required. The average Christian knows nothing about biblical criticism and the transmission of texts. Their education is exactly as you say, something taught by volunteer (and typically unqualified) lay people who are probably ignorant themselves on the topic. Fundamentalists who do know anything about these topics seem bent on aggressively keeping such information out of the minds of their flock or teach elaborate arguments against undesirable findings. Catholics and Orthodox continue to teach the catechism simply because of the inertia of tradition. The result is far more Fundamentalists and Catholics believing in a 6 thousand year history than those Christians of any flavor earnestly examining the historical roots of their Christian heritage. What do you mean by Fundamentalist? You need to define your terms here, because I’m not sure of the context that you are putting into it. You are bringing this concept of Fundamentalism, and now young earth creationism into a subject that has nothing to do with it as far as I can tell. Nobody is talking about the Catholic cathechism, or Eastern Orthodox for that matter. You say “there is no evidence of mixing myth with oral tradition” but John’s gospel is probably 90% myth, since the synoptics never ascribe Johannine words to Jesus, yet there’s no way in hell they would have “purposefully excluded” such high christological stuff from their Synoptic accounts had they believed these Johannine sayings were authentic. Worse, Mark’s gospel is likely the earliest published gospel, yet contrary to modern fundamentalist churches who say belief in the virgin birth is required for salvation, Mark says zero about a virgin birth, and most NT authors, despite willingness to repeat what their originally targeted audiences already knew/believed, likewise never mention the virgin birth. This silence screams, and the myth-interpretation not only is acceptable, but squares up with Jesus’ own preference for teaching through fictional history (parables). I don’t know why you think a gospel betraying evidence of local customs and geographical details “rules out” late and removed authorship. John 21:24 betrays that its authorship came from a “we” who say they know what John believed and they think his testimony is true. That’s a prime example of the local customs and geographic details being supplied by non-eyewitnesses who could just as easily have been in Rome when they wrote, as in Jerusalem. Ehrman trounced White in that debate. He had a very simple question: Why are Christian academics continuing to do work in the textual issues of the NT, if the text of the NT is not sufficiently in doubt? Do you seriously think Christian textual scholars don’t do much more than talk about the long ending of Mark 16 and the Johannine Comma? ———Yeah, and you have to hold conservative views if you wanna keep your job at the conservative bible college or seminary. Licona wasn’t fired, but surely would have been, had he refused to give up his job. —–You have no point, conservative Christians encourage just as much bias against non-conservative views as Muslims encourage bias against non-Muslim views. —-I’m writing a book that responds to clearly Christian-biased scholars and other apologists such as Blomberg, Bauckham, Turek, Licona, Craig, etc. I extend an invitation to you to debate me on any biblical subject of your choosing, in any internet forum of your choosing (website, email, etc). —Perfect advice for pew-warmers known as “Christians”. Historical arguments are made with historical evidence, not by mind-numbing appeals to “consensus.” In Jesus and they Eyewitnesses, Richard Bauckham offered strong arguments that at least three of the gospels were written by eyewitnesses and the friends of eyewitnesses. His book has been praised by leading scholars including NT Wright, James Dunn, Graham Stanton, and Martin Hengel. So much for consensus. In Jesus is No Myth, I take that argument further by citing dozens of lines of evidence, some of them very strong, that the gospels are close historical accounts. I was thinking exactly of Bauckham’s book above. That quotation is manifestly in error, John. Jesus’ disciples would have been mostly young, and some would certainly have lived another 40, even 60 years longer, as all the evidence indicates they do. Therefore they would have been “contemporary.” (Don’t you know people who can recall events 40, 60, even 80 years in the past? I do! Heck, I’m old enough to fall into the first category myself!) In addition, I have cited five top scholars who strongly credit the evidence that the gospels were, in fact, written by eyewitnesses or their friends. Most importantly of all, I’ve just written a book describing dozens of reasons why we should accept the gospels as strong historical sources. Quoting an uncreditted reference work back at me doesn’t cut it. And I’m in the process of writing a book that refutes Craig, Licona, Blomberg and Bauckham, among others. If the scholarly majority is correct that Mark is the earliest gospel, and that Matthew copied off of Mark, then you have serious problems with saying Matthew was authored by an eyewitness, even if you could contrive scenarios in which an alleged eyewitness who already knows what’s up, might depend this heavily on the work of a non-eyewitness. Matthew and Luke’s choice to modify Mark to lose emphasis where Mark put it, or emphasize something Mark did not, forces you to acknowledge that Matthew and Luke were likely something other than evangelical inerrantists. Sorry, but skeptics tend to automatically see “inerrantist” everytime they encounter a Christian apologists who defends the historicity of the gospels. But if you aren’t an inerrantist, its nice to know that you think Craig Blomberg’s entire epistemological foundation is wrong. Then what do you have to say about some modern conservative apologists, like Licona and Craig, who, despite no grammatical or contextual evidence whatsoever, have argued that the zombie resurrection in Matthew 27:52 is a case of Matthew writing something other than real history? Blomberg, C. (2001, c1992). Vol. 22: Matthew (electronic ed.). Logos Library System; The New American Commentary (Page 421). Nashville: Broadman & Holman Publishers. Hagner, D. A. (2002). Vol. 33B: Word Biblical Commentary : Matthew 14-28. Word Biblical Commentary (Page 852). Dallas: Word, Incorporated. Then we have a problem: Matthew did not leave any contextual or grammatical evidence that in Matthew 27, v. 52-53 were intended to be taken by the readers as any less literal historical fact that the tearing of the temple veil (v. 51), and the worshipful comment of the centurion (v. 54). Are you sure you aren’t opening Pandora’s Box when you agree with a theory that says an apostle was willing to write in a way that looked on the surface to be straight-forward historical reporting, but actually wasn’t? And you didn’t answer my comments about the fact that, while you can contrive scenarios in which an eyewitness would hide behind a non-eyewitness’s version as heavily as Matthew made use of Mark, it still remains that this is not the norm, and therefore, the scholarly consensus that the author of Matthew extensively borrowed from Mark strongly supports the skeptical theory that the true author of Matthew, because he doesn’t do what an eyewitness would normally be expected to do, wasn’t really an eyewitness. How does your theory about Matthew being “a little further away from the action” operate to support your belief that his gospel is to any degree less historical than the other three? 2 of the 4 Gospels were written by eyewitnesses to the life of Jesus Christ, the third by a student of an eyewitness, and the fourth by a physician attending to an eyewitness, and who then personally interviewed many eyewitnesses to Jesus’ life. Your claim to extraordinarily late dating tells me that the only arguments you listen to are the ones that say what you want to hear. As a former atheist I can tell you from personal experience that that attitude does not lead to truth or to historical fact. All four of the Gospels were, in fact written before the destruction of the temple in Jerusalem, not in the third century as your sources seem to claim. The scholars who provide commentary for the Oxford Annotated Bible have a lot to learn from you. They conclude that the earliest gospels are after the destruction of the temple. They surely must be heretics? There are evidences contained within the writings themselves that work to invalidate the late-dating theories by their very presence/absence in the writings. It is just so terribly interesting to me that not one of the New Testament scriptures says even a jot or a tittle about Jesus’ prophecy of the temple’s destruction having come true (I.E. it had not yet happened). John is the latest of the Gospels, but he mentions neither the destruction of the Temple (he doesn’t even do that in Revelation; interesting tidbit, that), OR the executions of either Peter or Paul, both of which happened under the reign of Nero, in the mid to late 60’s—BEFORE the Temple was destroyed. I don’t see your point. Jesus saying things that line up with the a.d. 70 destruction of Jerusalem rationally points us in the direction of prophecy ex eventu (gospel authors writing after this date and simply putting “predictions” of the destruction in the mouth of the story character called Jesus), since you don’t have a prayer of demonstrating that anybody could know the future with that level of precision. I am an atheist, and have no problems with the idea that most of the NT was written before a.d. 70. Take care that you don’t mistake a successful rebuttal of the extreme skeptical position, as a vindication of your own views. The NT can easily be written before a.d. 70 without requiring any miracles or divine intervention whatsoever. Heck, some apologists and Christian scholars even deny that Jesus ever predicted the destruction of the temple, and if that’s the case, then when you point to certain statements of Jesus and ask how he could have known decades in advance that Jerusalem would be destroyed, I’ll direct you to those other Christians, whose interpretation you cannot dismiss with “they are spiritually dead”. Much of the prophecy of Isaiah is regarding the Messiah, and is fulfilled in Jesus Christ. Isaiah never claimed to be God, while Jesus numerously and variously did indeed do so, resulting in people picking up stones to stone Him for blasphemy. Isaiah wrote 700 years before Christ was ever born, and we have at least one complete copy of his prophecy dated to around 200-250 BC, proving that a mere human can be prophetically accurate about events at least 200 years in their future. Jesus Christ, claiming to be God, was only looking 40 years ahead. I used to be an atheist myself, but the more I examine the evidence the more it supports the Christian view of the Bible as being historically accurate and authoritative, so playing that card with me gains you nothing. You aren’t making much of a case with your use of Isaiah. If you are talking about Isaiah 7:14, then the context makes clear that the “sign” is not that the pregnant woman’s hymen is still intact, but the sign is that before the child to be born knows the difference between good and evil, the land of the kings Ahaz dreaded would be abandoned (v. 15-16). That would hardly be any sign “to Ahaz” if the prediction would not be fulfilled until 700 years after Ahaz died. See also Isaiah 8:18, he says his children, among others, are for signs…and that must be interpreted in context…and it’s no coincidence that a child is the center of a “sign” Isaiah predicted in the prior chapter. So I can easily refute the Christian interpretation by appeal to immediate context, without needing to engage in the “almah/bethulah/virgin” issue. I never mentioned anything at all about Isaiah 7 or 8. His prophecy is 66 chapters, not two. Then that’s a blow against your ability to reasonably defend your position, since it obviously makes more sense, whether you think all of Isaiah is prophecy or only one part, to take his alleged “prophecies” one by one and examine them in a detailed focused way. What, do you think by your general assertion of all of Isaiah being a prophecy, that skeptics cannot refute this belief of yours unless they post a skeptical commentary on every verse of Isaiah? You don’t have to mention anything “at all” about Isaiah 7 or 8. You made general comments in favor of the theory that Isaiah correctly predicted a messiah whom you identify as the Jesus of the NT, which sure sounds like you are not only a Christian, but the kind of fundamentalist Christian who thinks Isaiah 7:14 constitutes a powerful argument for Isaiah’s ability to correctly predict the future. So my focusing on Isaiah 7:14 properly attacked some of your foundational beliefs. So if you wish to continue asserting that “a mere human can be prophetically accurate about events at least 200 years in their future”, feel free to explain where my interpretation of Isaiah 7:14 went wrong. My preference to discuss Isaiah prophecies one-by-one, is the more objective method of analysis/discussion. If you don’t interpret Isaiah 7:14 literally, feel free to pick any specific Isaiah-prophecy you please, which you feel most powerfully shows that he was talking about Jesus, and I’ll respond. Because of the Dead Sea Scrolls and the Septuagint these prophecies are dated before Jesus and not just the book of Isaiah. Although, as has been mentioned, the gospels were quoted by the early church fathers late in the 1st century and were in circulation certainly well before that, and John, an eyewitness died around 90 A.D. But, there are other prophecies concerning people, events and nations apart from being fulfilled in the gospels such as the rise and fall of nations mentioned in Daniel, the mention of Cyrus in Isaiah by name as well as the mention of Josiah in 1 Kings 13. When taken in totality, it goes beyond probabilities and although proof is never offered, prima facie combined with Occam’s Razor is enough for reason. Even if it be true that the 4 gospels were written before 70 a.d., there is still the nagging problem of whether the modern canonical greek form of the gospel that we use today, accurately reflects all, and nothing more than, what these original 1st century authors wrote. The majority scholarly position in the Christian community is that Mark was earliest, and Matthew’s literary similarity to Mark indicates that Matthew borrowed extensively from non-eyewitness Mark. While it’s always possible to dream up a scenario where an eyewitness depends so heavily on a non-eyewitness’s version of events, it remains an unlikely scenario, so that the odds still favor the skeptical conclusion that the author of Matthew was not an eyewitness. Another problem with thinking today’s canonical gospel text is all and nothing more than the text originally authored by Matthew, Mark, Luke and John, is that Mark is the earliest gospel and is unfortunately far less detailed than the later gospels. In other words, nothing new is going on with the gospels than what we see in the case of nearly every rumor we’ve ever been able to document: it grows, becomes embellished, and becomes more fancy and involved, than the earlier and more simple form. And since Jerome says most in his 4th century church thought the heretical Gospel to the Hebrews was “authentic Matthew”, well, let’s just say you’ve got a few years of scholarly work to do before you convince equally informed skeptics of your traditional authorship position. Oh my. Well, everybody does know that the letters of St. Paul are the first surviving written records of the Christian religion, so you are right about that. But it is far from a universal conclusion among scholars that the gospels are the work of people who never knew Jesus. Maybe it was almost universal 30 years ago, but recent scholarship has called those comfy assumptions into question. There are excellent reasons why most bible scholars assert that the gospel authors were not eyewitnesses. a) nobody ever said Mark and Luke were eyewitnesses, so they are excluded. b) most scholars refuse to say Matthew wrote the gospel now bearing his name, because the testimony of Eusebius and Papias raise more questions than answers and open the door to the distinct possibility that Matthew was not the author of Greek Canonical Matthew, yet Eusebius and Papias are the main sources everybody uses on the matter. c) that the gospel of John was not written by an eyewitness is clear from the internal testimony in John which says that the author is a “we”. John 21:24. Unless you think John was a plurality of persons, then it is clear that at best, it was followers of John who wrote this gospel, not John himself. And if those followers had themselves been eyewitnesses of Jesus, they would hardly fail to acknowledge this. So their admitting that they are writing down what they know John said, exempts they themselves from being eyewitnesses. Hence, the modern canonical form of the 4 gospels you now possess, likely were not authored by “eyewitnesses”. If you believe what 21:24 says, it is clear the note is from John’s disciples affirming the written testimony of their master. In which case most of the gospel would indeed have been from an eyewitness, as Bauckham indeed argues, and my book supports from several new angles. Neither Luke nor Mark are eyewitnesses, but they get their reports from eyewitnesses. This is, again, clear from a variety of internal and external evidences. What is supported by even more evidence, is that what they tell us is essentially true. The problem in 21:24 is not that it testifies to John having written “these things”, but that the “we” appear to be the authors of the “this is the disciple…” part too (i.e., the “we” in v. 24 are telling the reader something more about the “this disciple” of v. 23), in which case, the “this is the disciple…” wording of v. 24 is not authored by John himself but by the “we”, and therefore, exactly how extensively the “we” participated in the composition of John’s gospel, becomes a problem for those who insist that only John himself is responsible for the content of this gospel. If you thought the words “This is the disciple who is testifying to these things and wrote these things”, were by John’s own hand, the text and context suggest those words were put in the gospel by the “we”, so that at the end of the day, fundamentalists are incorrect to say 21:24 was inserted by John himself. Would your attorney be screaming his head off about how confusing and prejudicial this type of evidence is? How about if another witness got on the stand and said they were at the group meeting where it was decided that this affidavit should include whatever that group had “collectively” remembered about the acts they saw you do? Forget whether such a piece of evidence would fail the standard of modern court rules, would you not find such a document to be raising an awful lot of problematic questions as to who exactly is claiming to be the eyewitness to your guilt? Yeah. Very familiar with the argument. Bauckham’s book gives a fair treatment to them, I think. Drastically oversimplified: the Gospel of Mark is not Mark’s eyewitness account, of course, but it is an eyewitness account. Etc. Clement of Rome cited Matthew, John, and 1 Corinthians, in 95 to 97. Ignatius referred to six Pauline epistles in about 110, and between 110 and 150 Polycarp quoted from all four gospels, Acts, and most of Paul’s epistles. Shepherd of Hermas (115-140) cited Matthew, Mark, Acts, 1 Corinthians, and other books. Didache (120-150) referred to Matthew, Luke, 1 Corinthians, and other books. Papias, companion of Polycarp, who was a disciple of the apostle John, quoted John. This argues powerfully that the gospels were in existence before the end of the first century, while some eyewitnesses (including John) were still alive. What are you talking about? Many scholars accept that the writers knew Jesus, and the consensus is that the gospels were written in the 1st Century. We have a scrap of a parchment of the letter of John dated 125 A.D.! That’s merely 30 years after the death of the Apostle John and it was found in Egypt meaning it was already in circulation well before that! Just another one out there tickling itching ears and leading people astray. Erhmann employes the oldest weapon in the arsenal of Satan by basically saying, “Did God really say?” And from the comments below one can see that weapon is still in wide use today. I thoroughly enjoyed the article, but I enjoyed the discussion in this comment section even more so! Thank you to everyone who wrote, your time and finger strength were not spent in vain!